As a parent, we all want to do our best to produce thriving children that will go out into the world and function independently as happy, successful adults. A huge part of that is helping children develop self acceptance as well as a growth mindset. A low self esteem can result in self sabotaging behaviors and depression. As a parent, you may be wondering what causes a low self esteem so you can be sure to help your child avoid those pitfalls. Well, I am so happy to have Debby Fogelman, MA. Psy.D, share with us today what causes low self esteem and some of her suggestions for overcoming low self esteem. 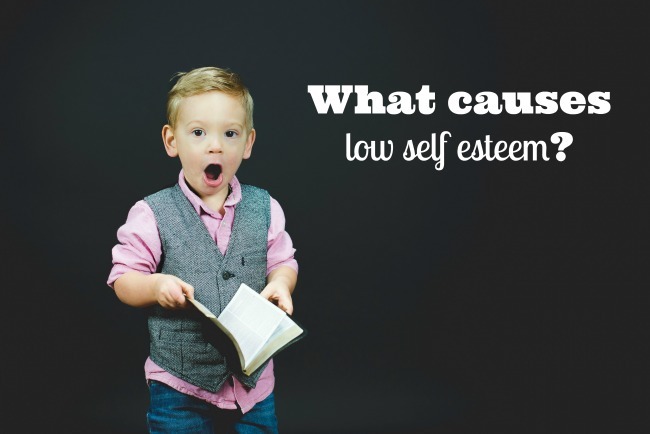 What Causes A Low Self Esteem? Anxiety and depression have become very prevalent in today’s society. Many children and adults are filled with self-doubt, and suffer from low self-worth. If you or your child begin to question your ability to succeed and whether you are deserving of good things, these are classic signs of low self esteem. To protect the identity of my child I have chosen the gender-neutral name of Sam and I will move back and forth between the masculine and feminine pronoun. Our children are born with different temperaments, different ways of processing information, and assigning meaning to events that happen in their life. When they are young they are egocentric and developmentally capable of only drawing simple cause-and-effect conclusions. They therefore believe that everything that happens to them or around them is because of them. If they are treated with kindness and tenderness they will internalize a belief that they are good, and loveable. If they experience harsh discipline or excessive criticism they will come to believe that they are bad, and undeserving of being loved. My child Sam’s behavior from early on was difficult to manage, and without knowing then what I know now, I mistakenly believed that she was excessively strong willed and overly defiant. I didn’t recognize that her low frustration tolerance and her lack of impulse control was a real limitation but rather saw it as behavior that needed to change, and that it was my job as a good parent to teach her and reshape her behavior. 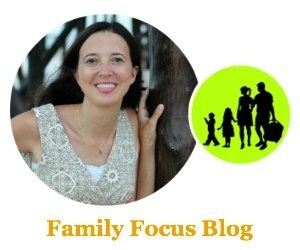 Looking back there were clear signs that something was amiss but I dismissed them, in hindsight by fear; it was easier to see my child as defiant instead of recognizing that she had a problem. I didn’t understand that she was unable rather than unwilling to meet these age appropriate expectations, and so what she often saw reflected back at her was confusion, and exasperation. It is these early relational experiences that create the foundation on which self-esteem grows. If this foundation is strong then the self-esteem will be stable but if it is weak, if a positive sense of self has not been internalized, then the self-esteem will be vulnerable to disappointments; affected by the disapproval of others, and lacking resilience to recover quickly from setbacks. Self-esteem, of course, is never perfectly stable and will fluctuate to some degree based on external events. Accomplishments, for example, make us feel proud and inflate our self- confidence, and failures, on the other hand, will trigger insecurity. If self-worth exists however then the self-esteem will fluctuate only within a narrow margin and will never become devastated. Since my child Sam hadn’t internalized that strength, all negative experiences were interpreted as evidence that he was “less than” and “not good enough”. His earlier impulsivity had deprived him of opportunities for social interactions, and the lack of age appropriate social skills resulted in his isolation. Attempts to engage were often ignored, and these rejections once again reinforced his internal belief that he was unacceptable in some way. His sibling’s entry into the world was yet another factor reinforcing his belief of unworthiness. Since a child is not capable of complex emotional reasoning, having to share love is commonly experienced as a felt loss of ‘specialness’; that the love is being taken away, and given to another. Sam experienced this ‘dethroning’ as a traumatic rejection, believing at an unconscious level that he was un-loveable. Later on, I went back to school to become a clinical psychologist, and I went from being a mother who was always available and immediately responsive to a mother who suddenly wasn’t. For a child already doubting her value, this event, once again was perceived as evidence that she wasn’t important or special enough to keep my attention. Remember, this isn’t the rational mind but rather the internalized feelings that color the meaning assigned to events. In high school, Sam had academic success; his fellow classmates recognized he was smart and therefore able to help them, and he started to have friends. Because of this experience others’ perception of him became very important and achievement was used as a measure of his self-worth. Unfortunately, when an external source, such as grades, is used to validate self-worth, it can only work for a short time to conceal feelings about the true self. What this means, is that when disappointments and set backs occur, which are inevitable and a normal part of life, shame is experienced. Shame is a devastating emotion. Imagine the experience of shame as being like someone shrinking and recoiling from you because they don’t want you to see their perceived defectiveness. This is shame, and when it is experienced it results in a complete loss of esteem. Sam graduated from high school appearing to be confident, but because a feeling of self-worth hadn’t been internalized, when new demands and challenges were encountered in college, normal feelings of self-doubt were magnified and felt to be evidence of her innate inadequacy, and her inability to succeed. The stress that always accompanies a new stage of development triggered feelings of self-doubt that already existed inside her, and Sam became overwhelmed with anxiety. Looking back at what I could have done differently, I know that I did the best I could do with the understanding that I had at the time. I also recognize that there were many factors beyond my control that left an indelible mark on his personality. If I had the good fortune of being more knowledgable about child development, and more insightful about his limitations, and the impact of my actions, perhaps I could have succeeded in instilling in him a feeling of worth, which would have provided stability to his self-esteem when he encountered difficulty and felt discouraged. Sam now has to provide for herself that feeling of self-worth that sadly wasn’t internalized in childhood. This is not an impossible task but it is difficult to undo the internal beliefs that were established in the past, since we often confuse our feelings as evidence of objective truth. What needs to happen now is that fears must be confronted and challenged, and discomfort cannot be an obstacle to taking action. It is always important to feel accomplishment but for an individual with low self worth, these experiences are imperative so that pride in oneself and one’s achievements can be felt. Over time, these accumulated experiences of stepping outside one’s comfort zone and experiencing success will coalesce into a strong feeling of optimism and competence, and begin to reshape the perception of the self. This generation, unfortunately, is at a disadvantage because it must now contend with two additional obstacles to internalizing self-worth: social media and parental over-involvement due to the increased competitiveness of college admissions. Parents wanting to give their children a competitive edge, have their children doing so much that they are depriving them the opportunity to learn to manage their own lives. Parents are also over protective of their children, and are concerned that a misstep will ruin their chances of getting into the ‘best’ college, and so they are robbing them from experiencing the natural consequences of their decisions and mistakes. Consequences teach children to manage their anxiety when things don’t work out the way they would want, and so this generation is less resilient to adversity. The second factor, social media, creates a false reality, and even though we know this to be true, we never the less continue to make comparisons. We know that people only post pictures of their better moments and we know that they are only snapshots, a moment in time, and do not accurately portray their life as a whole. We know they are designed to create a façade and to elicit admiration and even envy but we still end up feeling in comparison that we are lacking and that our lives are insufficient. What this means, is that our children now more than ever, are growing into adulthood with a weakened emotional core, which makes them especially vulnerable to feeling defeated and inadequate. I have therefore created a FREE program to be read on-line or downloaded. Prepare To Leave The Nest, www.preparetoleavethenest.com, is based on both my personal and clinical experience to address these issues. The purpose of the program is to help parents help their kids to feel capable and confident so that when they grow up and experience a new significant stressor, like going off to college for example, they will be able to cope. If low self-worth is internalized, then negative patterns of thinking and self-defeating behaviors already exist. If these issues can be addressed now, long before the college experience, then these young adults can be given the tools to change their negative self-perception, and become stronger on the inside so that they can better withstand the stress from the outside. This program elucidates the concept of self-worth, helps identify whether or not it is present, provides insight that will help identify self-defeating behaviors, and lastly, provides the tools needed to challenge negative beliefs, so that your child can overcome low self-esteem can feel perfectly adequate. 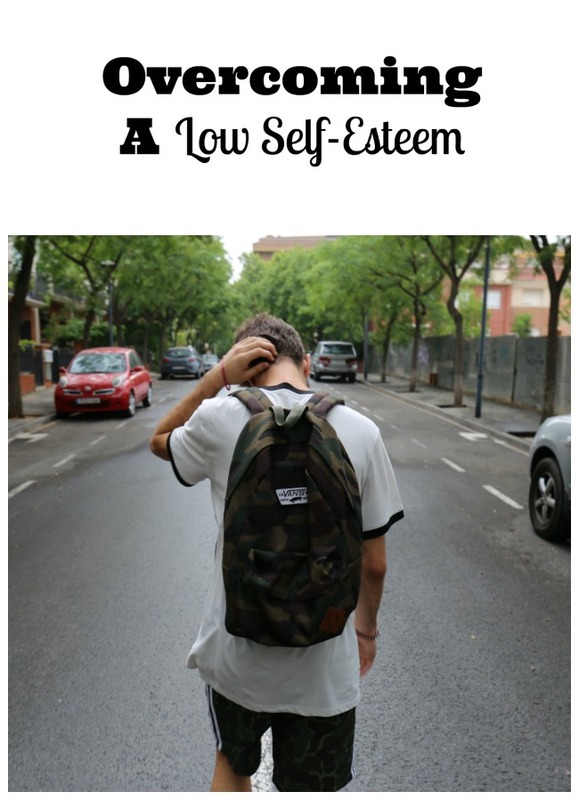 Thanks again to Debby Fogelman for sharing this personal story of what causes a low self esteem and and transformational tools for overcoming low self esteem.